I've recently had a trip to Hong Kong. 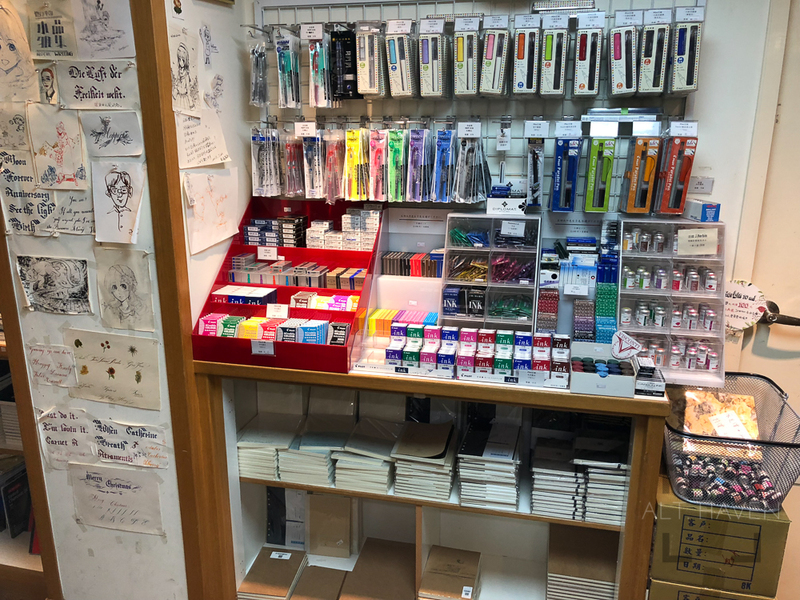 I didn't went out of my way to go pen shopping but I did drop by Winner Pens Collection. I didn't buy anything but I took some photos. Enjoy them! Recently I’ve visited Italy. 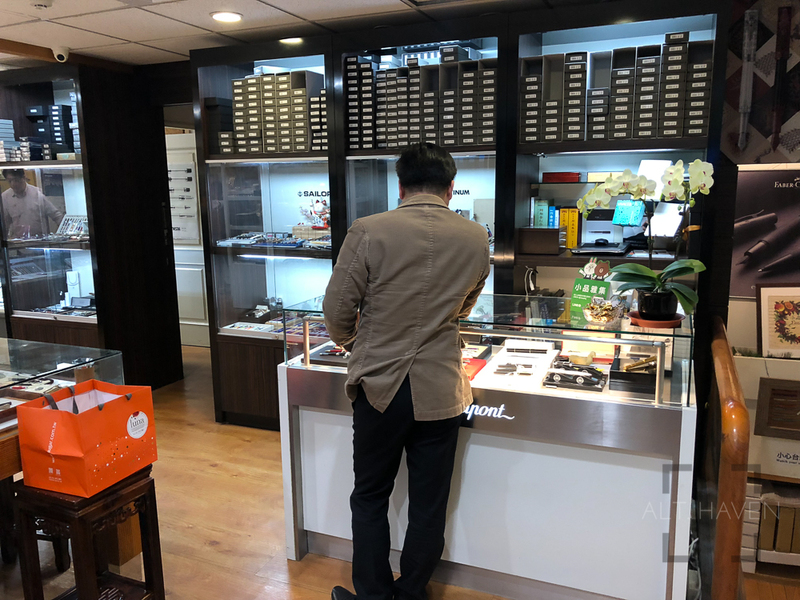 I took the opportunity to visit a few fountain pen shops along the way. I flew into Europe via Frankfurt. I met my friend and she took me to GALERIA Kaufhof. 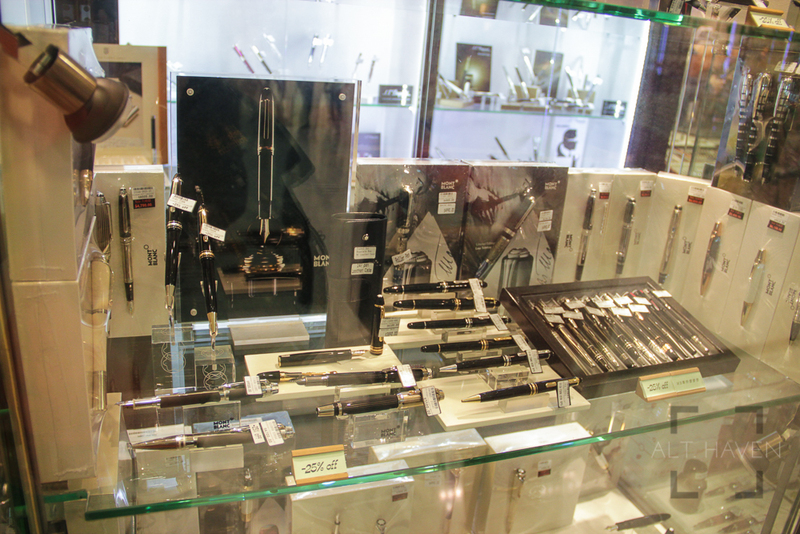 It was just a regular shopping centre like many you can find in Singapore, the difference is the size of its pen department. 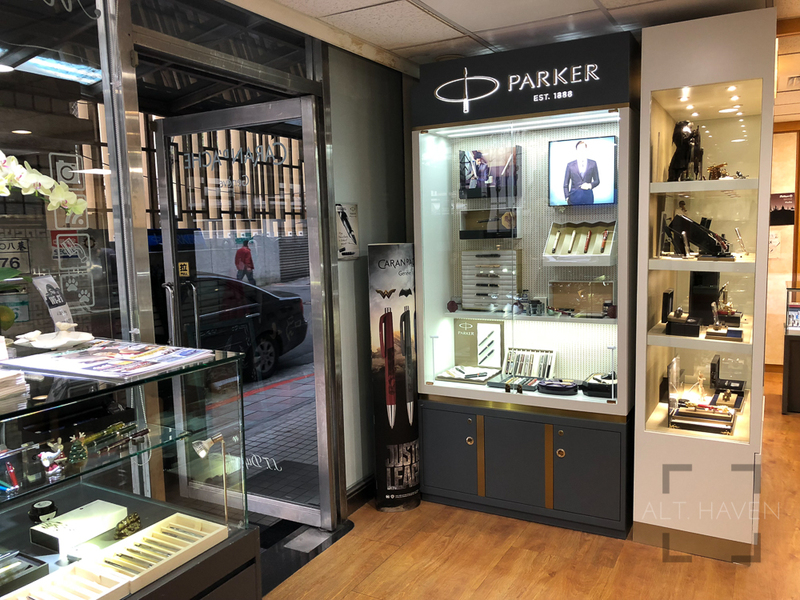 There are many brands on display there. 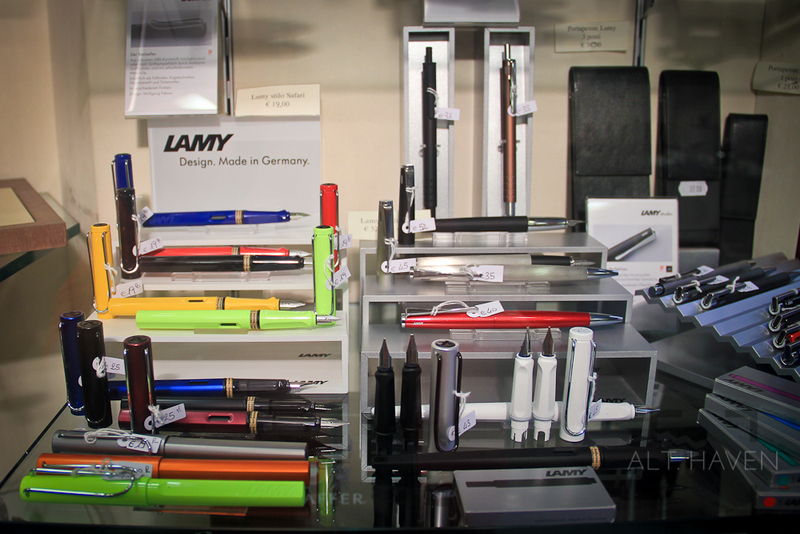 The usual suspects are all there, namely, Lamy, Mont Blanc, Faber Castell, ONLINE, Caran d’Ache, Pelikan and Waterman. I was surprised to not have found brands that I am not familiar of. Then it is off to Italy. One Italian word that’s important to know is stilografica. 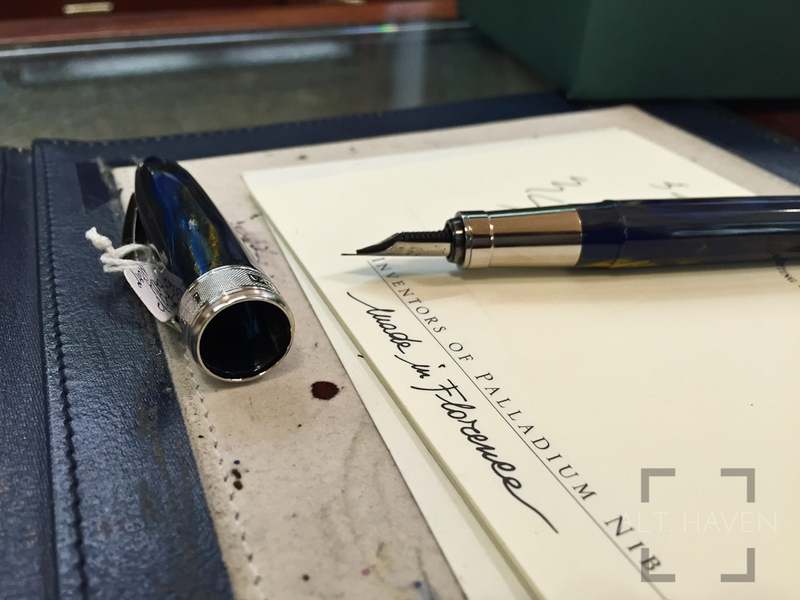 That’s Italian for fountain pen. The first pen stop was Rome’s Novelli. 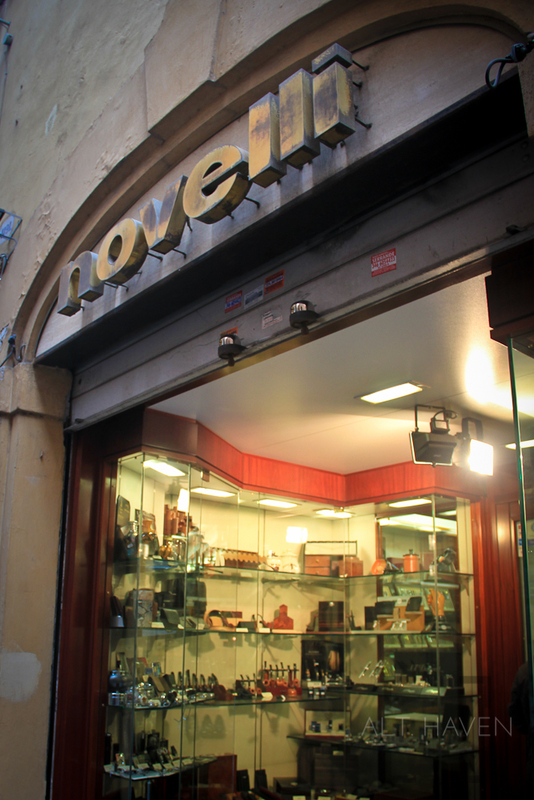 Novelli is a little pen shop located at Via di S. Marcello, 21, 00187 Roma. 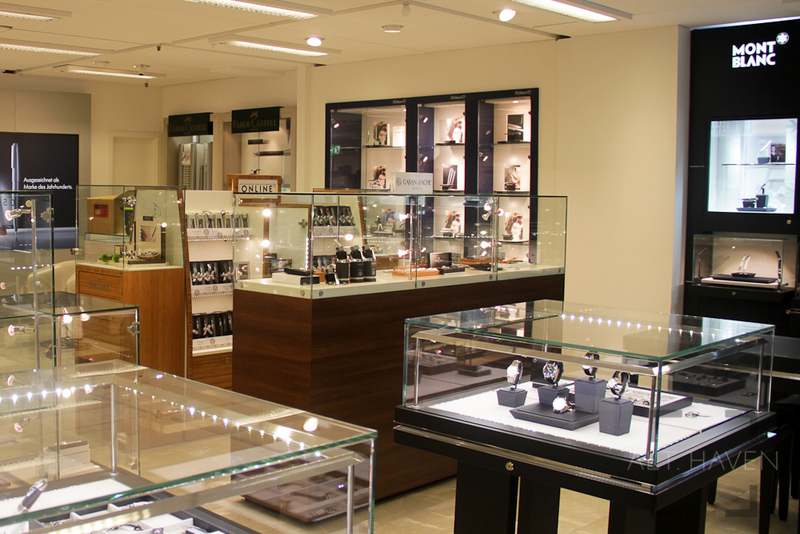 Be careful when you visit Novelli because they close in the middle of the day so plan your visit carefully. I had to return 3 times before I actually got past the front display area. 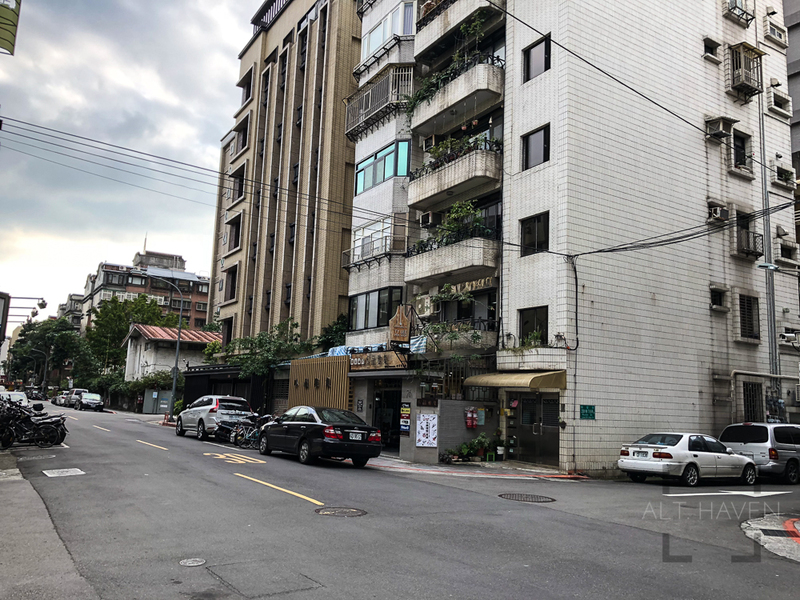 The shop is divided into 2 section. 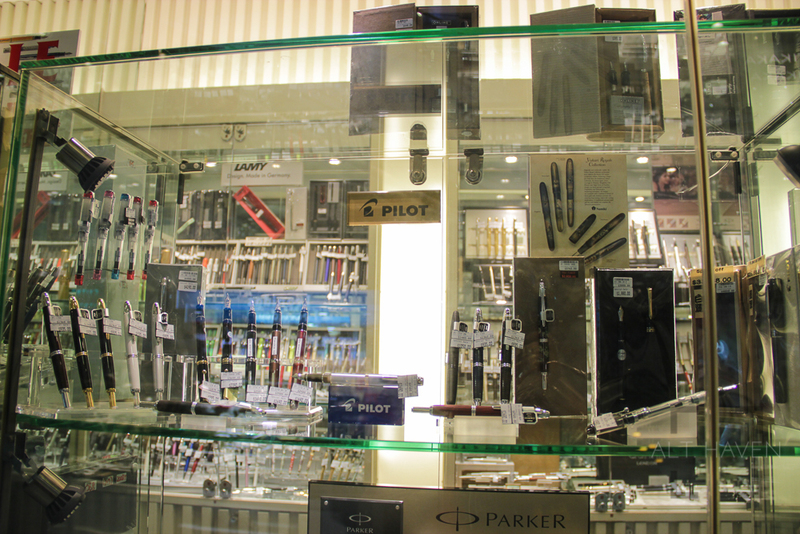 One section has all the fountain pens and inks while the other section carries cigars and accessories. 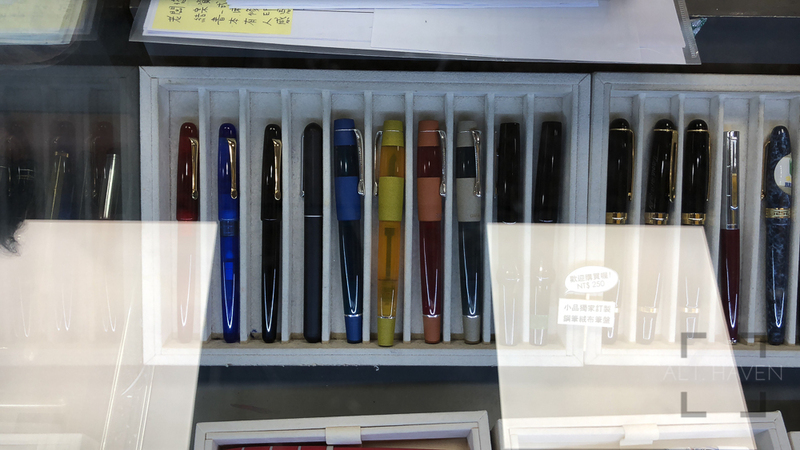 They have their pens displayed in glass cabinets that lined the pen half of the store. 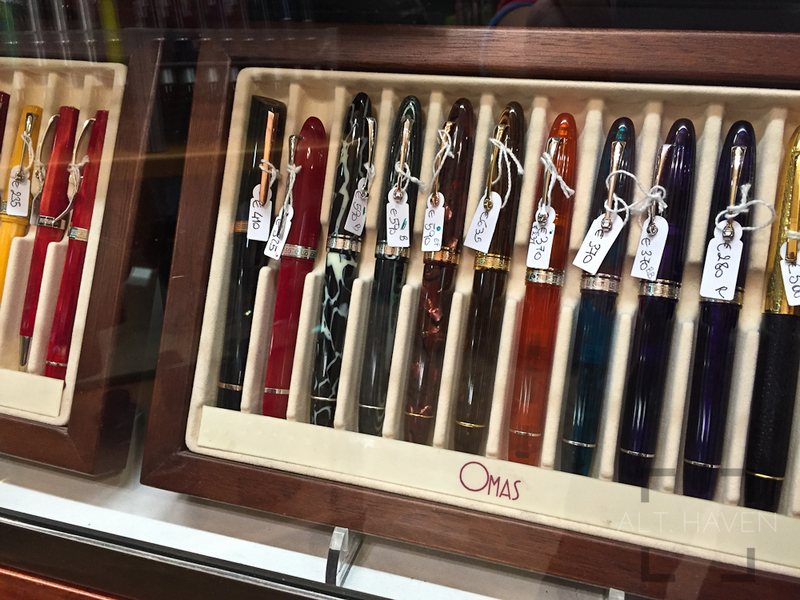 I was drooling at all the pretty, pretty pens. Being in Italy I had to get an Italian pen of course. 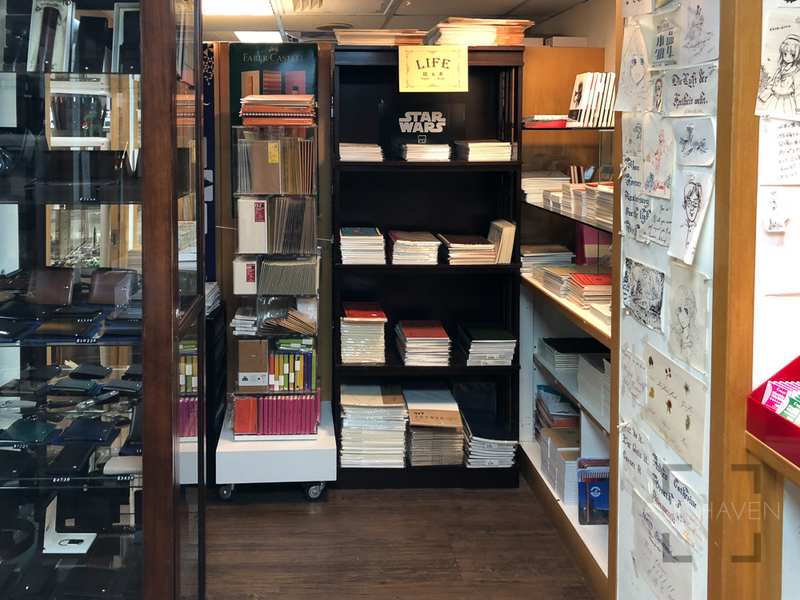 The friendly staff didn’t pressure me while I was browsing. 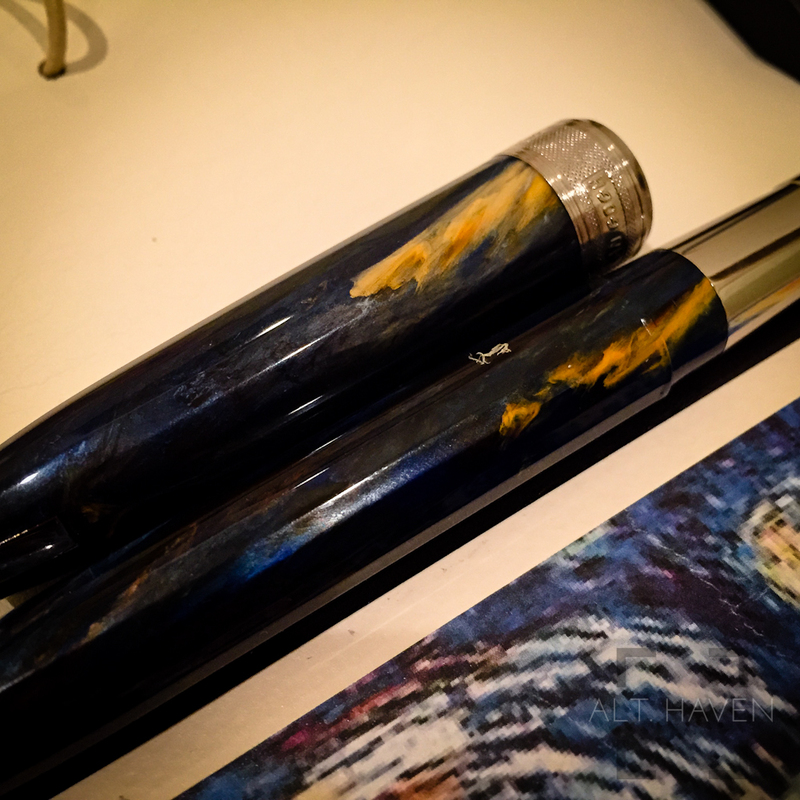 I was able to handle and try the pens I was interested in before I decided with a Visconti Van Gogh Starry Night. I was gifted a small bottle of Delta brown ink too. 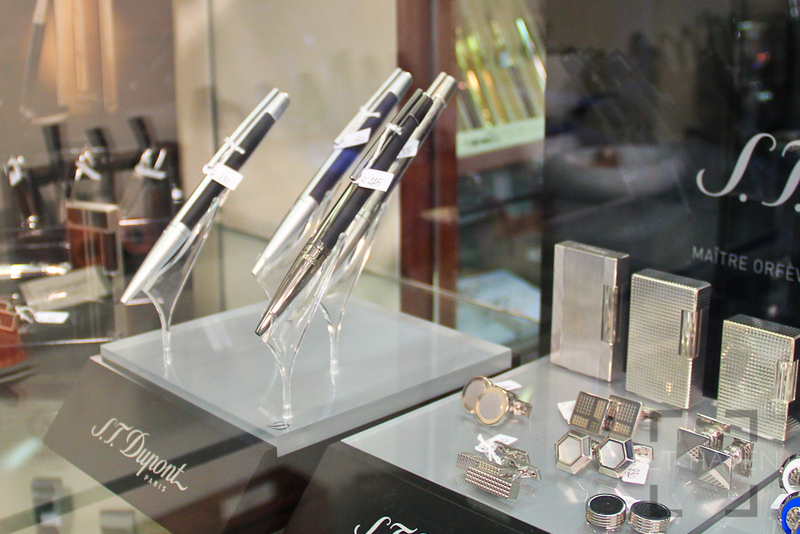 I purchased a two cigar holder to double up as a pen case as well. Before you leave do not forget to ask for a tax refund, you can enjoy a slight discount with it. 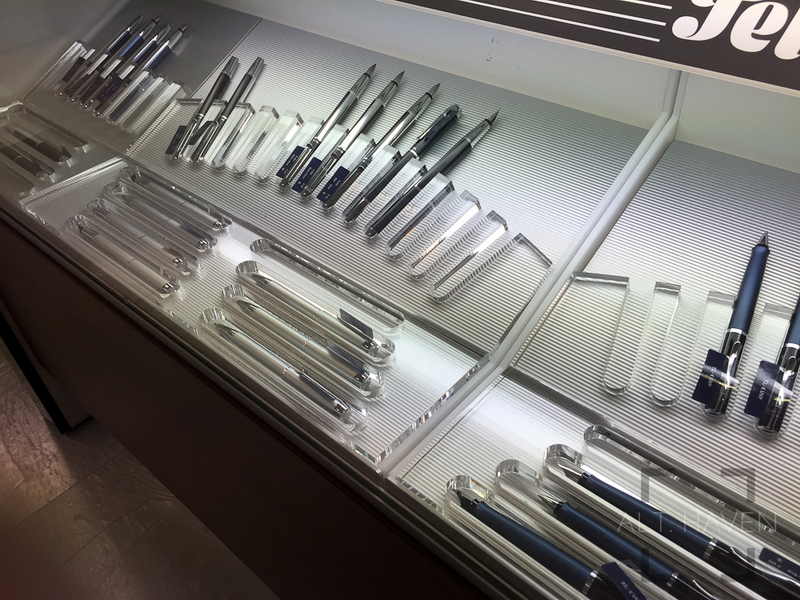 My second pen stop is Casa Della Stilografica in Florence. 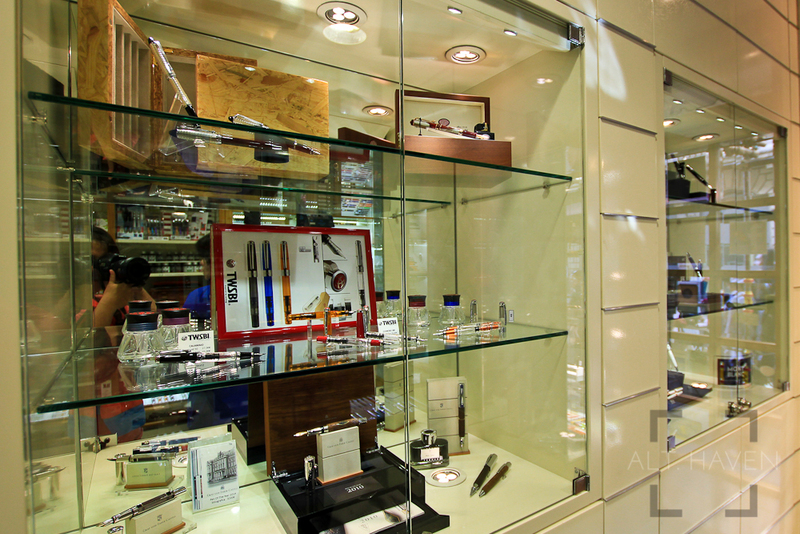 It’s located at Via Camillo Benso Cavour, 43r, 50129 Firenze. 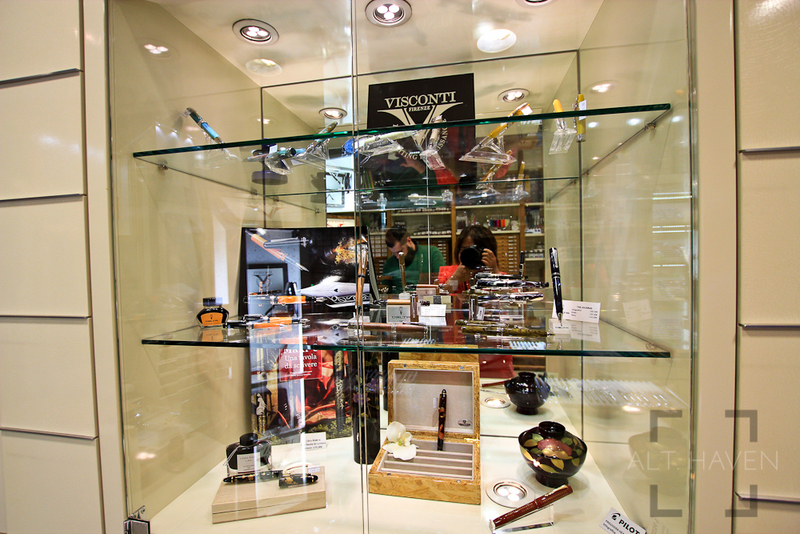 I opted to skip the Visconti showroom since I have already purchased a Visconti pen in Rome. 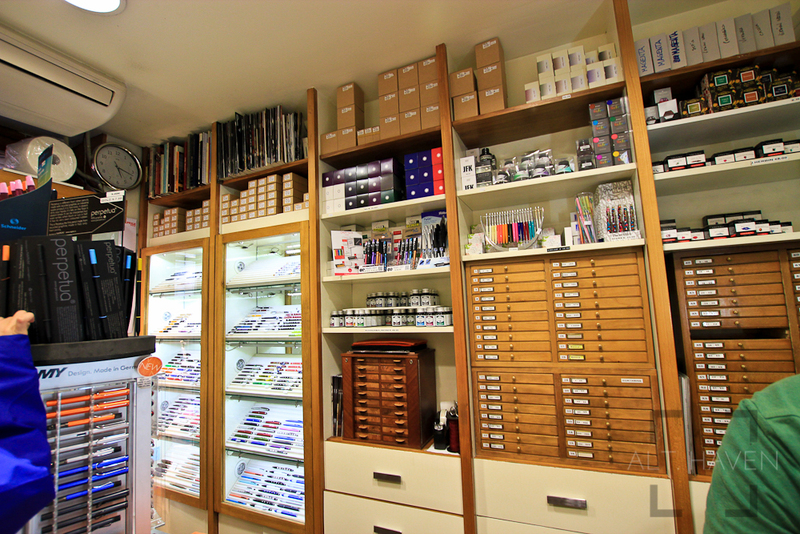 Casa Della Stilografica is an even smaller pen shop when compared to Novelli. However they do not lack in variety. 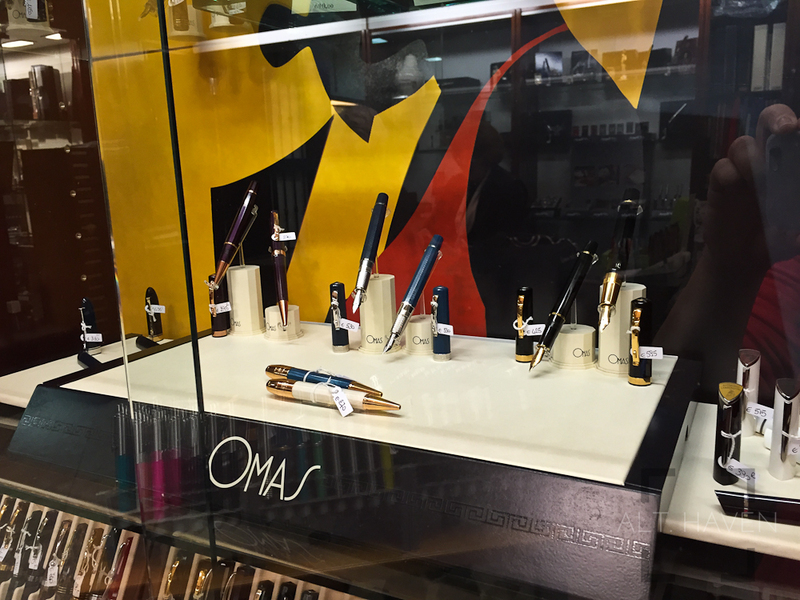 I was undecided on what to get there so I asked for their recommendation for entry level Italian pens. The helpful staff obliged by bringing out trays of pens. I settled for a Delta Journal. 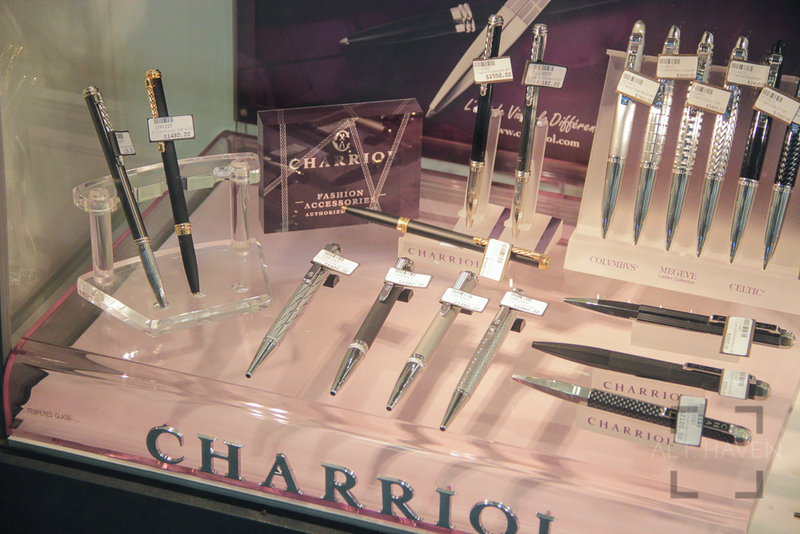 It is a beautiful pen. I picked up a Lamy Al-Star Copper Orange just so I could push the total amount to be eligible for tax refund. 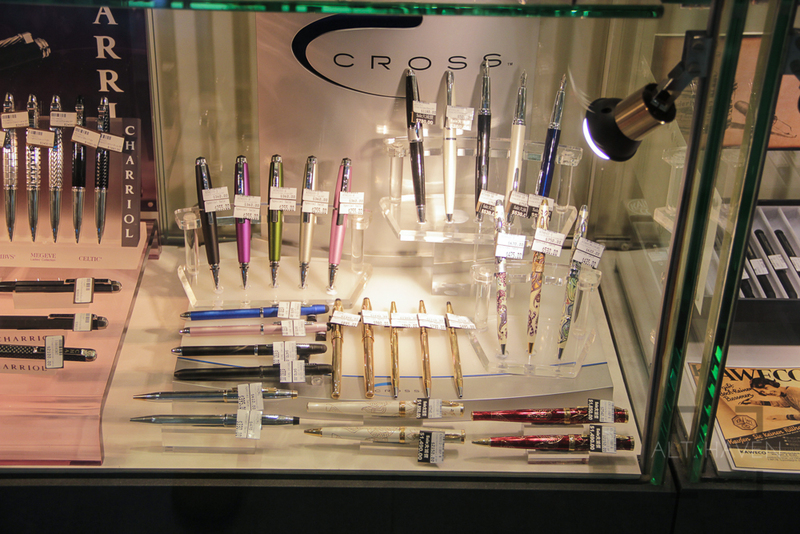 It is a fun experience to travel and buy pens overseas. The pen is a very tangible memory of my trip. 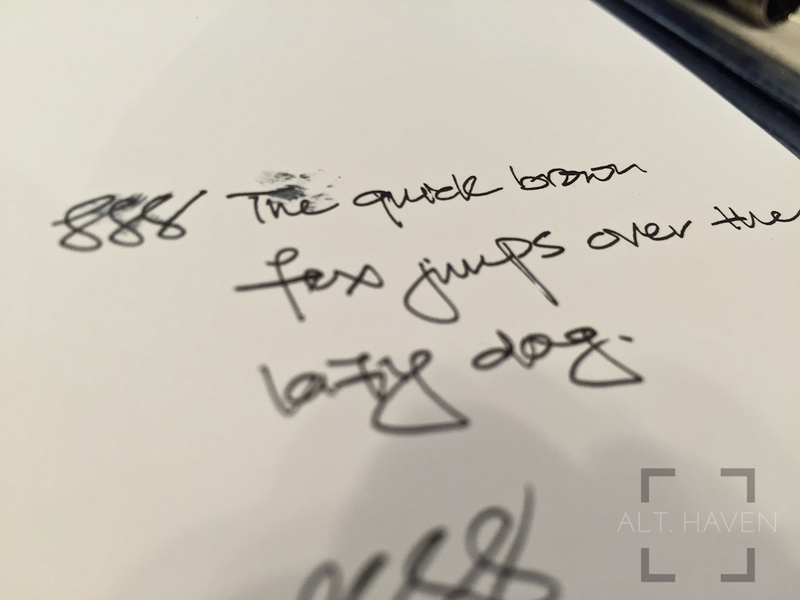 It also allows me to see how deep and wide spread pen culture is throughout the world. 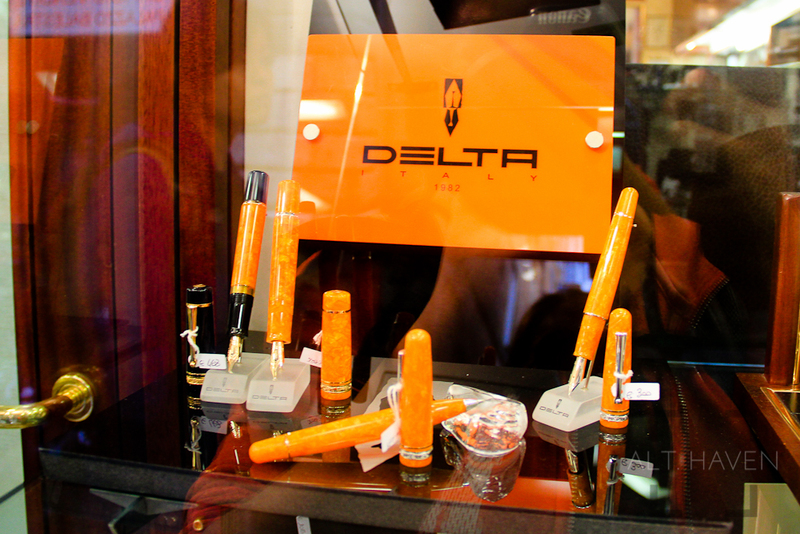 I shall endeavour to get myself a pen at every destination I travel to. 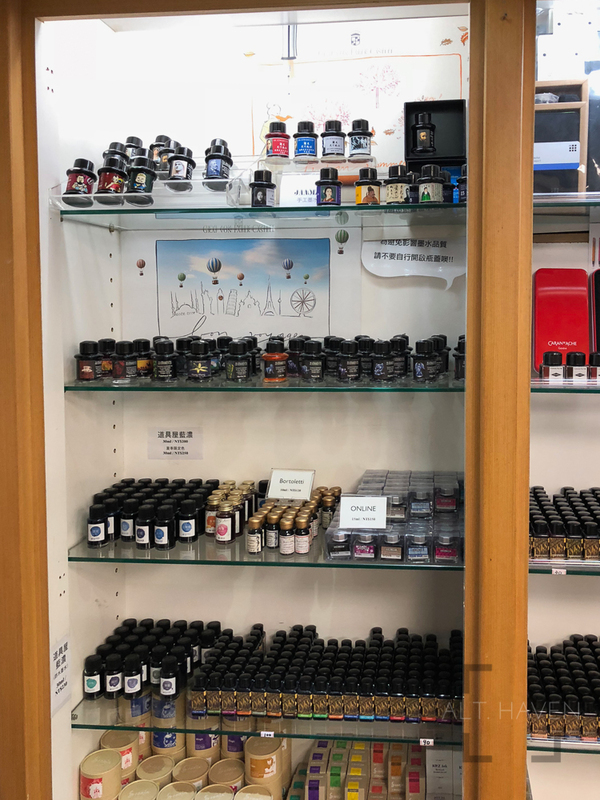 Reviews for the pens and inks are coming not very soon.